Robert W. Reagan, JR, M.D. Dr. Robert W. Reagan, Jr., has opened Sampson Urology Associates at 417 Vance Street, Suite B, between downtown Clinton and Sampson Regional Medical Center. Formerly on the attending staff of Durham Regional Hospital, and with offices in Chapel Hill and Durham, Dr. Reagan graduated from the University of North Carolina School of Medicine in Chapel Hill in 1998. 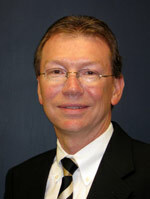 Dr. Reagan has full medical and surgical appointments at Sampson Regional Medical Center.